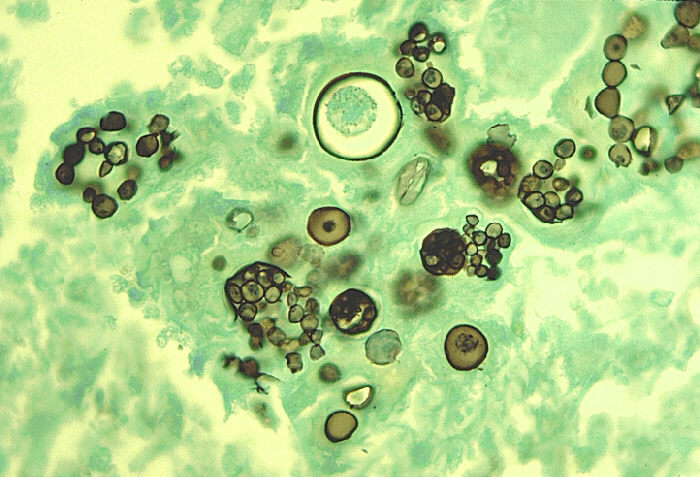 Subcutaneous mycoses are caused by accidental subcutaneous inoculation of causative fungi. 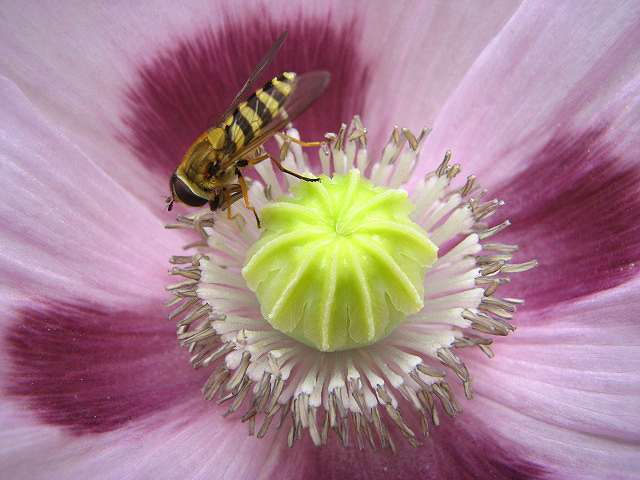 Most of the causative agents reside in soil and vegetation. Granulomatous response occurs at the site of infection. 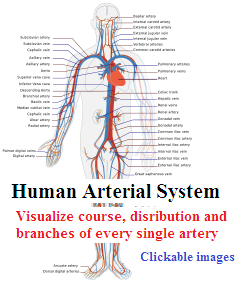 The infection is usually confined to subcutaneous tissues, and only rarely causes systemic disease. 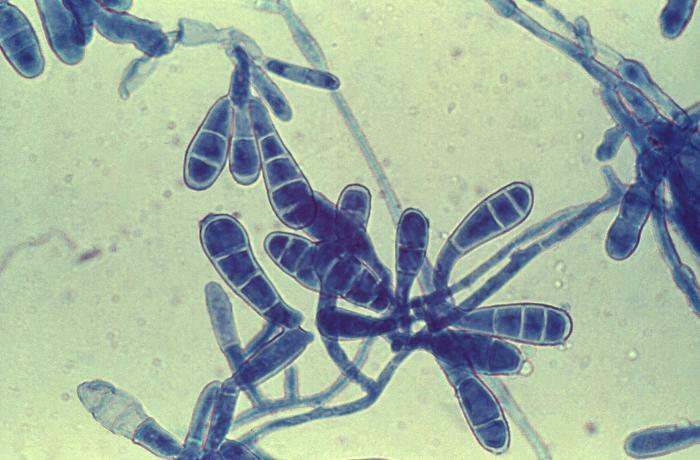 Sporotrichosis is caused by Sporothrix schenckii (a dimorphic fungus). This fungi is associated with plants, grasses, trees, sphagnum moss and rose bushes. 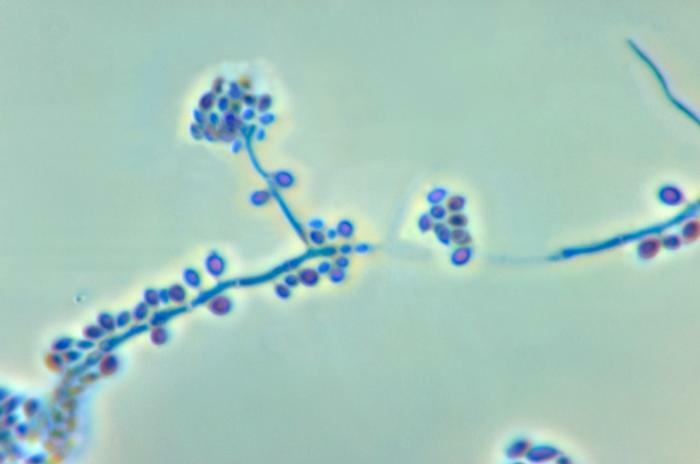 At ambient temprature, it grows as a mold with branching septate hyphae and conidia. 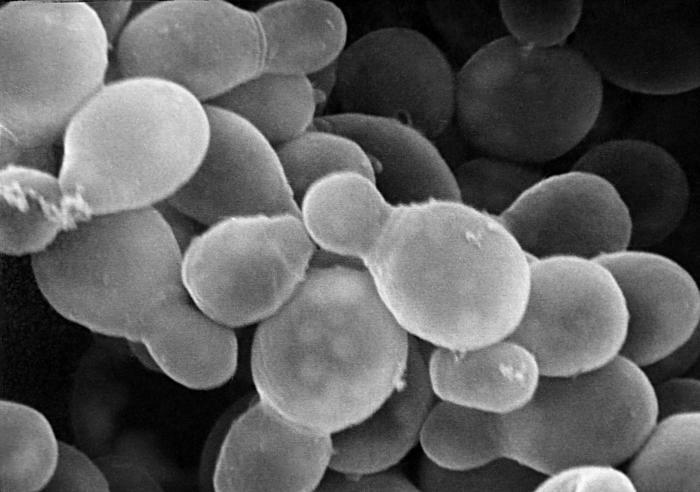 In tissues or in vitro at 35-37° C, it appears as a budding yeast. The fungus is introduced in skin by trauma. Lesion is generally located on extremities (children often present with facial lesion). 75% lesions are lymphocutaneous and granulomatous nodule may progress to form necrotic lesions. Draining lymphatics become cord like with multiple subcutaneous nodules and abscesses along the course. Fixed sporotrichosis contain single nodule, and are less progressive, specially in endemic areas. There is little systemic illness, rarely dissemination can occur in immunocompromised patients. 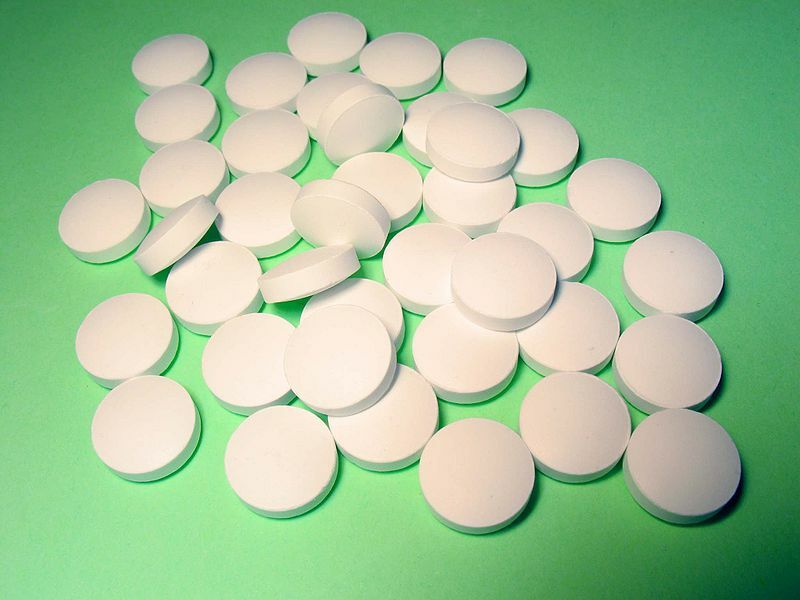 Specimen include biopsy material or exudate from ulcerative lesion. Direct microscopy with KOH or calcoflour white stain, yeasts are rarely found. 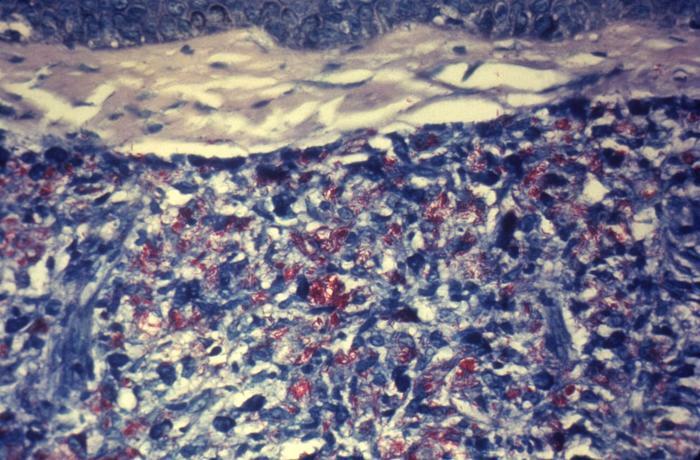 Asteroid Body is seen in endemic areas with H&E stain, central basophilic yeast cell is surrounded by eosinophilic material. Culture is the most reliable method. 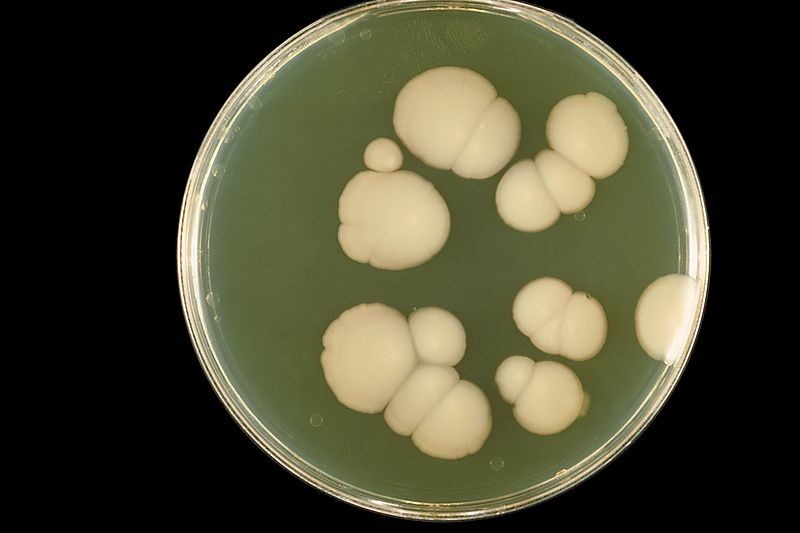 Organism is inoculated on inhibitory mold agar or sabouraud’s agar with chloramphenicol, incubated at 25-30° C. Young colonies are blackish and shiny, becoming wrinkled and fuzzy with age. 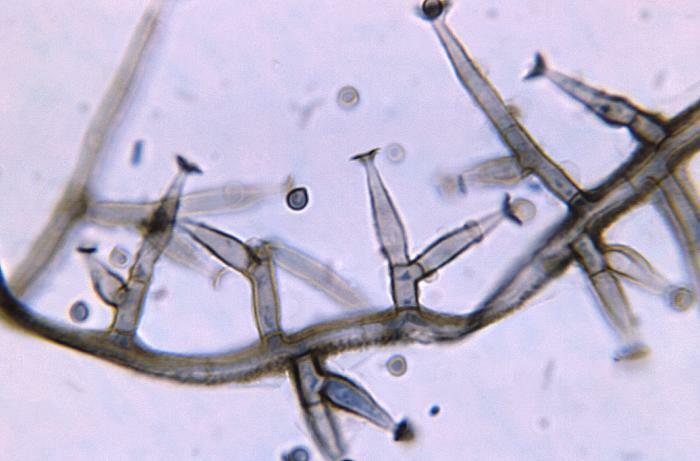 Branching septate hyphae with small conidia 3-5 µm are seen. Identification is confirmed by growth at 35°C and conversion to yeast form. 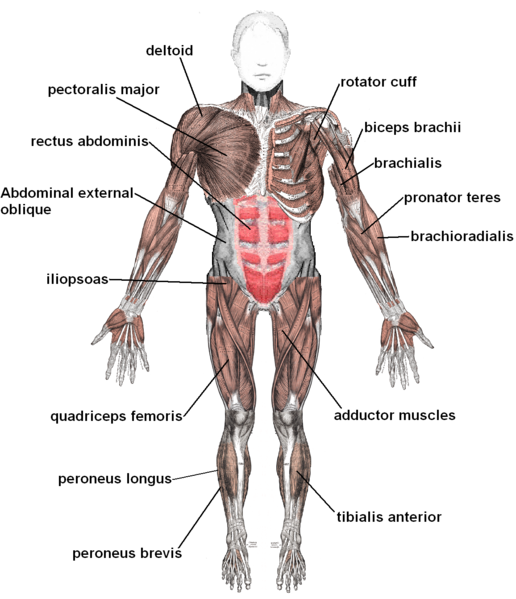 Organism is inoculated by trauma usually at legs or feet. Over months to years, lesion becomes wart-like and verrucous. Cauliflower-like nodules are formed. Crusting abscesses (black dots) of purulent material appear on surface. Rarely cause elephantiasis due to lymphatic obstruction. Characterized by presence of dark pigmented septate hyphae in subcutaneous tissues. Specimen are cultured on routine fungal media for identification. Mycetoma is the chronic fungal infection of skin, fascia, and bones of hands or feet. It is caused by mycelial fungi in the division Ascomycota. These fungi are found in the soil. Fungi introduced via traumatic inoculation from contaminated twigs, thorns, or leaves.